Ensuring our guests have a clean, comfortable room to guarantee a good night’s rest and pleasant stay is our goal. If any part of your stay with us is not satisfactory, please let the lodging manager or front desk staff know so they can try to make it right. The Pikes Peak Lodging Office, Building 1042, is open 24 hours a day, 7 days a week. Our courteous Guest Service Representative is always on duty to assist you. Check-in time is 2 p.m. hours or earlier based upon room availability. Check-out time is 11 a.m. At this time, all room keys must be returned. If extenuating circumstances require a late check-out, please contact the Lodging Front Desk. Late check-outs may be assessed an additional night’s fee. The local per diem is $105. Pikes Peak Lodge is easy to find; you just need to know where to look. 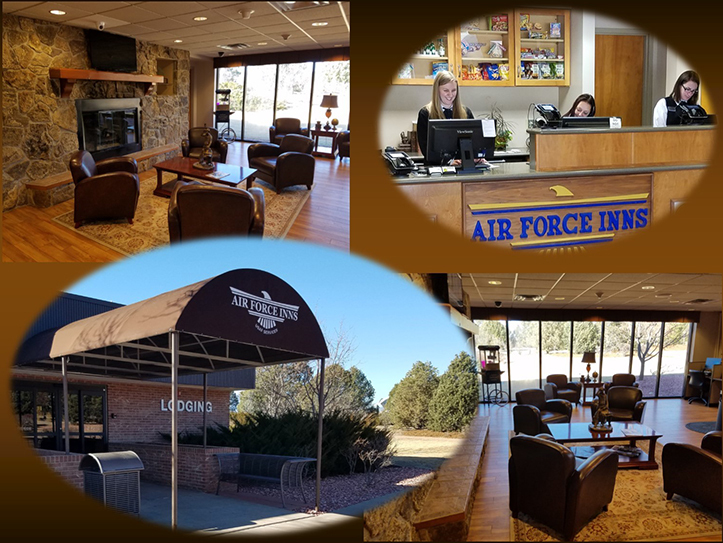 So, whether you’re coming from the Colorado Springs Airport or from Denver, we have a map and driving directions to help you arrive safely at our door. And if you still need assistance, please call our Front Desk. We’re open 24 hours a day, seven days a week.